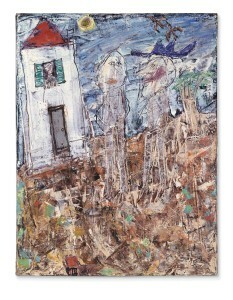 Jean Dubuffet, “Visiteur au chapeau bleu avril 1955,” 1955, was the top lot at $6,141,388. LONDON — On October 4, Christie’s saw an electric start to the much-anticipated Frieze Week auctions with the single-owner auction: ‘The Collection of Leslie Waddington’, in which spirited bidding for the artworks from Leslie Waddington’s highly sought after personal collection achieved $36,092,330 with every work sold. The sale was a fitting tribute to Waddington, whose pioneering spirit as an art dealer defined the London art landscape before the rise in popularity of the contemporary art world today. The auction saw competitive bidding in the room, online and on phones to achieve the exceptional sell through rate of 100 percent by lot and 100 percent by value with 80 percent of works selling over estimate. Registered bidders from 37 countries across six continents demonstrated the strong demand in the global art market. The evening opened with a portrait of Leslie Waddington by Sir Peter Blake, which more than doubled its high estimate to achieve $103,675. 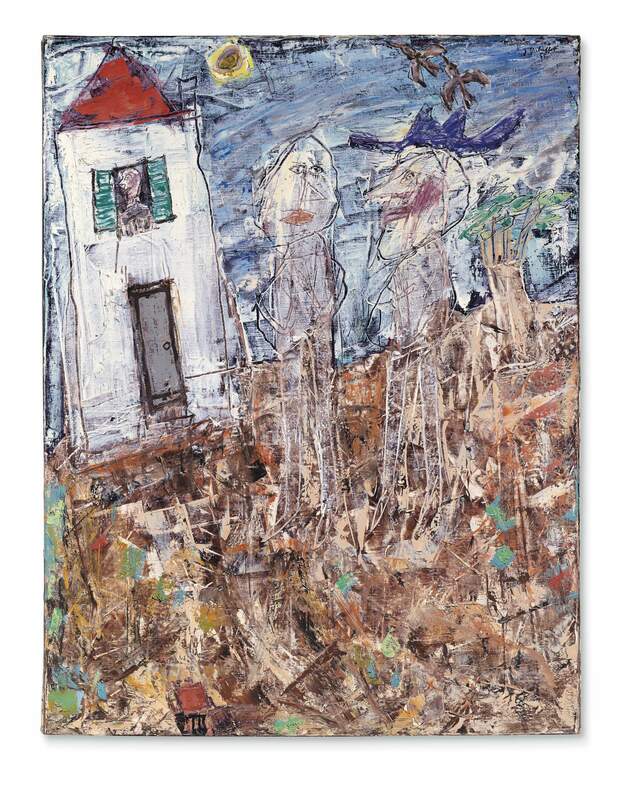 This level of bidding set the pace for the evening and continued with the first of seven works by Jean Dubuffet realizing five times its low estimate, and the group achieving a total of $8,559,408. Another early highlight was “Spanish Elegy” by Robert Motherwell, which sold for $1,154,780. The top lot of the evening was Dubuffet’s “Visiteur au chapeau bleu (Visitor with a Blue Hat),” selling over its high estimate for $6,141,388. Bristling with raw painterly energy, it offers a primordial vision of bucolic joie de vivre. Executed in April 1955, it stands among the finest large-scale works that the artist produced during the first few months of his six-year sojourn in the South of France. Prices reported include the buyer’s premium. A complete review of the sale will follow later.